A tour bus promoting a service that helps people to take part in dementia research studies proved such a hit with shoppers in the West of England before Christmas that the region has now taken the number one slot for the highest number of local registrations to the service in the country. ‘Join Dementia Research’ allows people with and without dementia to register their interest in dementia research, so they can be contacted about relevant research studies. Backed by the National Institute for Health Research Clinical Research Network (NIHR CRN): West of England and local partners, the bus visited four locations in Stroud, Weston-super-Mare, Swindon and Bristol. The aim of taking the tour bus on the road was to reach 1,000 local registrations to ‘Join Dementia Research’ by Christmas. That target was smashed, with around 500 registrations added since the week’s tour and the local total now standing at 1,250, making the West the leading region nationwide for people signing up to the service, which currently has almost 15,000 people registered nationwide. Vital studies into early diagnosis, prevention and new treatments for dementia are making progress but more volunteers, with dementia and people without the condition, are needed. The bus was supported by local NHS Trusts, including the Avon and Wiltshire Mental Health Partnership NHS Trust, Alzheimer’s Society and Alzheimer’s Research UK. Volunteer champions Tony Hall, chairman of the Bristol Dementia Action Alliance and also a carer to his wife who has dementia, and Hilary Doxford, who has early onset Alzheimer’s disease, also helped out. Deborah Evans, Managing Director of the West of England AHSN, also spent time helping out when the bus visited Bristol and did a quick interview with Made In Bristol TV. The tour was masterminded by Charlie Procter, NIHR Clinical Research Network: West of England and Jane Makin, Avon & Wiltshire Mental Health Partnership NHS Trust. Charlie said: “There was an amazing response from local people, whatever the weather in December. So many people we spoke to had been touched in one way or another by dementia that they were really keen to help out and register. “Dementia research is critically important. It can help people living with the condition now, as well as helping to prevent people from developing dementia in the future. 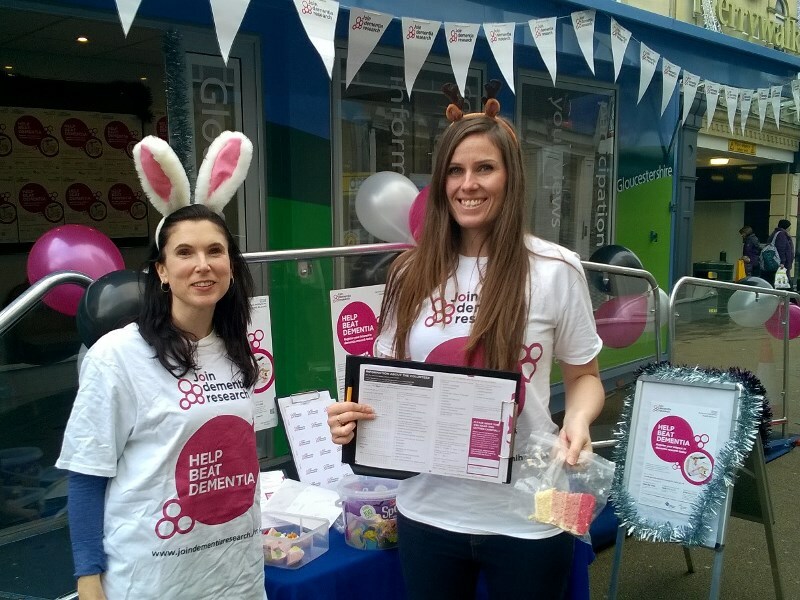 Laura Phipps of Alzheimer’s Research UK, the UK’s leading dementia research charity, said: “Join Dementia Research is a great opportunity for people to play a role in pioneering research to defeat dementia. It’s fantastic to see how supportive people in the West have been of Join Dementia Research and how willing they are to give their time to volunteer for studies. Register or find out more about Join Dementia Research here. Alternatively, pick up a leaflet and registration form in more than 130 libraries throughout the West of England.